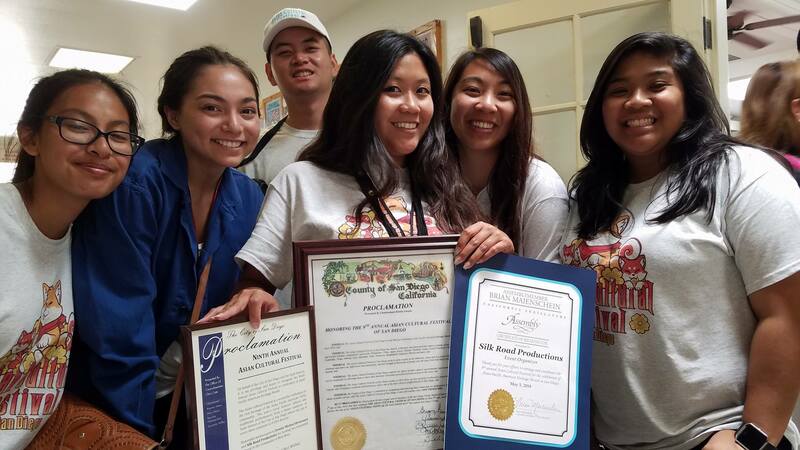 While the Asian Cultural Festival already passed, we were pleased to be able to receive recognition and proclamations for the event! Thanks to County Supervisor Kristin Gaspar and the rest of the County Supervisors for proclaiming it to be Asian Cultural Festival Day in the County of San Diego. Thanks to Councilman Chris Cate for the Proclamation from the City of San Diego. And lastly, thanks to Assemblymember Brian Maienschein and to Senate Republican Leader Patricia Bates for the Certificates of Recognition to our Silk Road Team for continuing the work on this great community event. We might have been smaller this year, but the impact and acknowledgement is still there!